There are times when I hear about exciting things at the very last minute and decide to throw my plans (or planned posts) to the wind and do something new. The exciting thing this time was the 4th Knitting and Crochet Blog Week. I’ve seen and read this week over the past years and always wanted to participate but always forgot. Luckily, I found out on Day 1 and not Day 7 this year. The first day’s prompt was about picking a house Hogwarts style. The Bee’s are always busy. The Manatee’s are cozy. The Monkey’s want to learn. The Peacocks like to strut their stuff. I am definitely in the House of Bee. I knit a lot as the 282 projects on my Ravelry page will testify and always have several projects on the needles at one time. When I was first learning to knit House of Monkey would have been the place for me. Still is depending on the day. I want to learn but not every project I knit teaches me something new. Sometimes I want the finished project more than I want to practice a new technique. I don’t think the two Houses have to be mutually exclusive though. True, I do have a lot of projects on the needles and a lot of fiber on the spindles. I switch between them at the drop of a hat. Also true is that I like to learn. What joins my love of learning and all of the half finished projects is a sense of play. When I’m making something, I try not to take myself too seriously. I don’t always succeed but that’s mostly after ripping out something 5+ times. Knitting, crochet, spinning, and generally making stuff is the easiest way for me to play and have fun. Spinning is king right now for giving me a way for me to play, to learn, and to start just one more project. 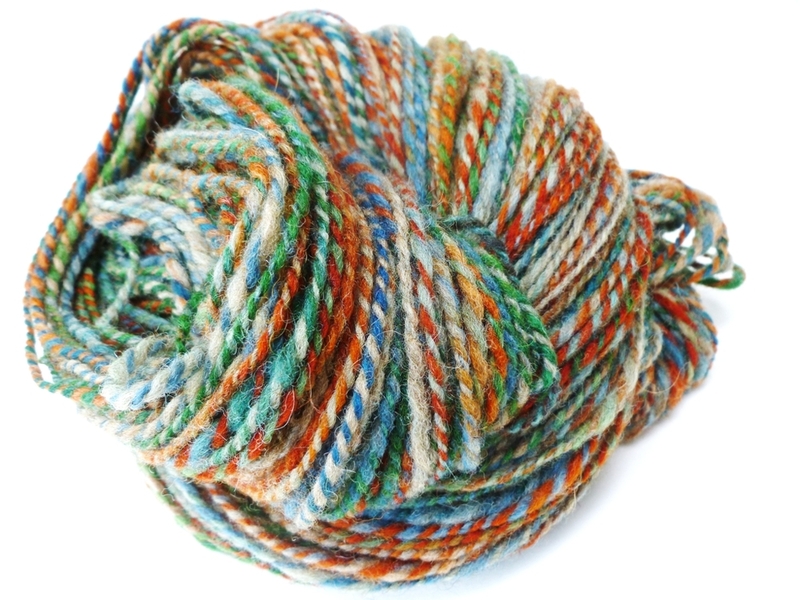 It’s no surprise that my mascot is my own handspun yarn. Feeling the wool (or silk or alpaca) moving through my fingers is fun. Putting twist into fiber and plying singles is all play even if it is difficult. After a year, I’m still new to spinning and there’s so much more to learn. 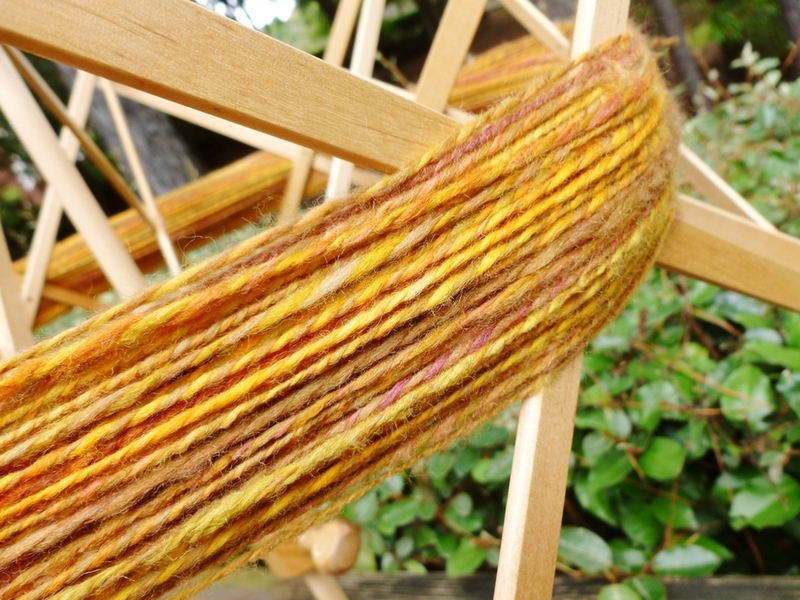 No matter how much yarn is on the needles I can’t resist making more yarn with my spindles. 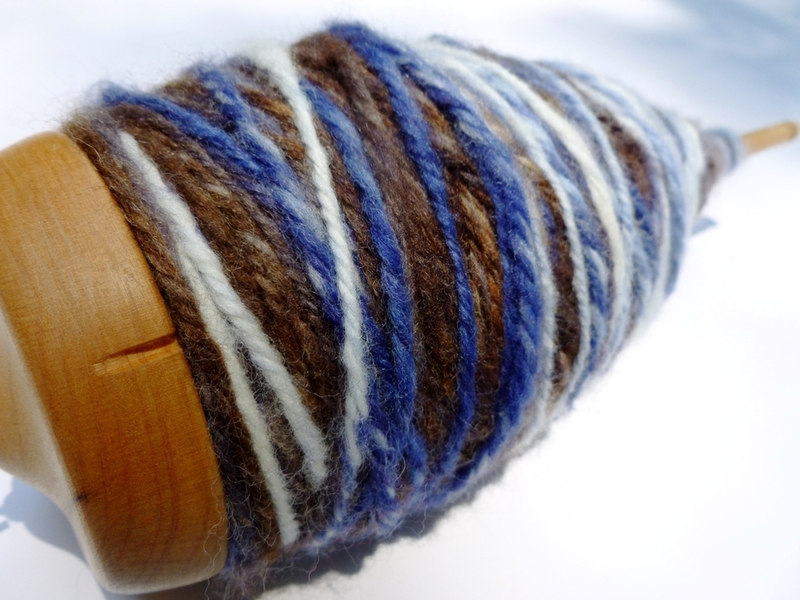 Making handspun is amazing and, at the end of the process, I can knit with it too. Then the cycle begins again.